The Center for Humanities and Social Change will be directed by Prof. Dr. Rahel Jaeggi. On February 27th, the Humboldt-Universität zu Berlin (HU) announces the founding of the Center for Humanities and Social Change. Under the direction of the Humboldt Professor Rahel Jaeggi (Philosophy), the center will examine the crises of democracy and capitalism from a contemporary perspective and in philosophical and basic theoretical terms. 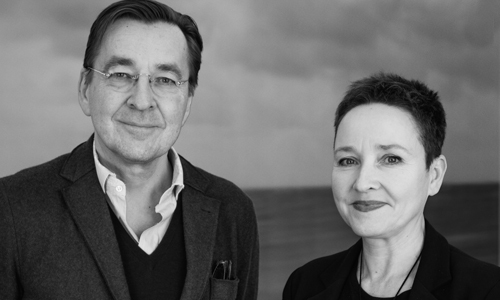 The new research center is the product of an initiative of the Hamburg businessman Erck Rickmers and is financed by the Humanities & Social Change International Foundation that he founded. The Foundation has already started other centers at the University of Cambridge, the University of California and the Universitá da Venezia Ca`Foscari. These centers will be connected with one another. “‘Critical Theory is the theoretical side of the practical process of emancipation.’ This is how Max Horkheimer formulated it in 1937. To this end, one has to analyze the crises of the present day and monitor the tensions tied to the social conflicts of our time, but also the emancipatory hopes they contain. The Center is meant to open a space for debate, in which different perspectives, interpretations, approaches, and proposals meet.” Rahel Jaeggi, Founding Director of the Center for Humanities and Social Change at the Humboldt-Universität zu Berlin. “I perceive the world as being in a state of crisis: ecologically, economically, politically, culturally, and spiritually. Under the leitmotiv “Understand – Inspire – Change”, the Foundation is meant to analyze the fundamental causes of the social challenges of the 21st century, to inspire new solutions, and thereby to help shape social change in a positive way.” Erck Rickmers, Founder of the Humanities & Social Change International Foundation.